“This is a bit of a warning signal for Canadian law firms, and other professional entities regarding their electronic security measures,” says Berkovitz, a lawyer with Shibley Righton LLP. He says the reputational damage done to the firm as a result of the leak could pale in comparison to the financial burden it could face in the years to come. “This is a huge problem for the law firm because, if they were negligent in their electronic security system, they could be liable to clients for any damage that flows from the material that was leaked. If there are fines or prosecutions as a result, they might look to sue the law firm for damages,” Berkovitz tells AdvocateDaily.com. Internet security experts recently told Wired magazine that the law firm’s front-end computer systems, such as its webmail and client portal software, were outdated and shot through with security vulnerabilities. “If I were a client of theirs I’d be very concerned that they were communicating using such outdated technology,” Alan Woodward, a professor of computer science at the U.K.’s Surrey University, told Wired. Berkovitz says there is a chance prosecutors will try to use the leaked documents even though, had they not been leaked, many would be covered by solicitor-client privilege. The Canada Revenue Agency (CRA) has requested access to the documents in order to determine whether any tax rules were broken by holders of the offshore accounts, while the Royal Bank of Canada has defended its role after it emerged it used Mossack Fonseca to create more than 370 foreign corporations for its clients over the course of many years, the CBC reports. But, he warns, people shouldn’t look at this as a smoking gun. He says the CRA will look at transactions to determine if they comply with s. 245 of the federal Income Tax Act, the General Anti-Avoidance Rule. The rule requires all transactions to be carried out for a bona fide purpose other than to avoid tax. 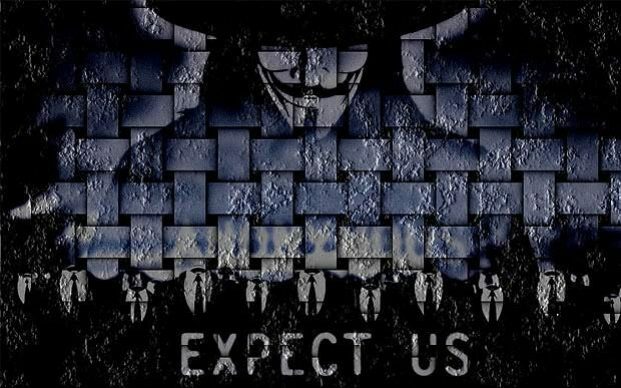 he FBI issued a rare bulletin admitting that a group named Advanced Persistent Threat 6 (APT6) hacked into US government computer systems as far back as 2011 and for years stole sensitive data. The FBI alert was issued in February and went largely unnoticed. Nearly a month later, security experts are now shining a bright light on the alert and the mysterious group behind the attack. “This is a rare alert and a little late, but one that is welcomed by all security vendors as it offers a chance to mitigate their customers and also collaborate further in what appears to be an ongoing FBI investigation,” said Deepen Desai, director of security research at the security firm Zscaler in an email to Threatpost. Details regarding the actual attack and what government systems were infected are scant. Government officials said they knew the initial attack occurred in 2011, but are unaware of who specifically is behind the attacks. “Given the nature of malware payload involved and the duration of this compromise being unnoticed – the scope of lateral movement inside the compromised network is very high possibly exposing all the critical systems,” Deepen said. In its February bulletin, the FBI wrote: “The FBI has obtained and validated information regarding a group of malicious cyber actors who have compromised and stolen sensitive information from various government and commercial networks. The FBI said the “group of malicious cyber actors” (known as APT6 or 1.php) used dedicated top-level domains in conjunction with the command and control servers to deliver “customized malicious software” to government computer systems. A list of domains is listed in the bulletin. 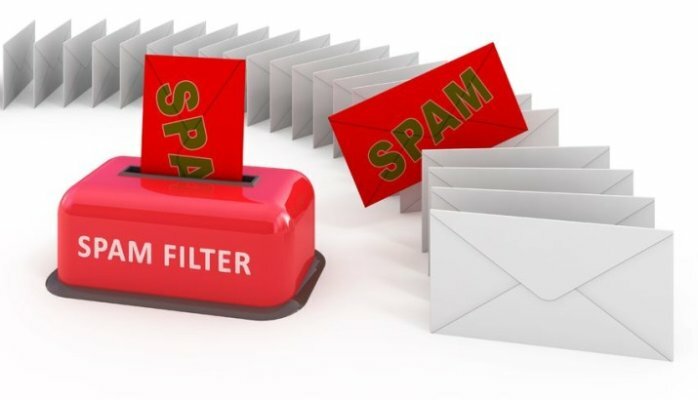 “These domains have also been used to host malicious files – often through embedded links in spear phish emails. Any activity related to these domains detected on a network should be considered an indication of a compromise requiring mitigation and contact with law enforcement,” wrote the FBI in its bulletin. When asked for attack specifics, the FBI declined Threatpost’s request for an interview. Instead, FBI representatives issued a statement calling the alert a routine advisory aimed at notifying system administrators of persistent cyber criminals. “The release was important to add credibility and urgency to the private sector announcements and ensure that the message reached all members of the cyber-security information sharing networks,” wrote the FBI. 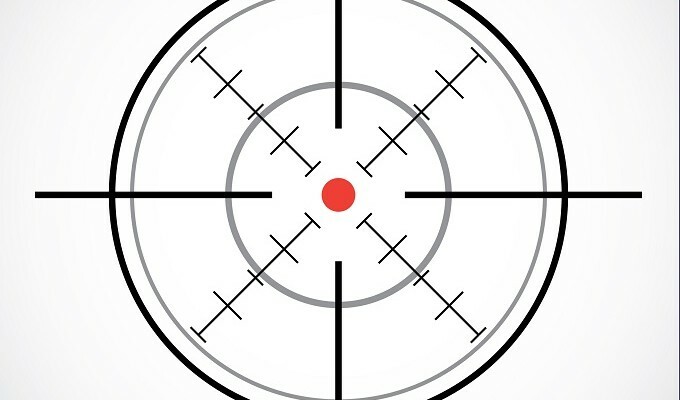 Deepen told Threatpost the group has been operating since at least since 2008 and has targeted China and US relations experts, Defense Department entities, and geospatial groups within the federal government. According to Deepen, APT6 has been using spear phishing in tandem with malicious PDF and ZIP attachments or links to malware infected websites that contains a malicious SCR file. The payload, Deepen said, is often the Poison Ivy remote access tool/Trojan or similar. He said the group has varied its command-and-control check-in behavior, but it is typically web-based and sometimes over HTTPS. Experts believe that attacks are widespread and not limited to the US federal government systems. “The same or similar actors are compromising numerous organizations in order to steal sensitive intellectual property,” wrote Zscaler in a past report on APT6. In December 2014, US government systems were compromised by hackers who broke into the Office of Personnel Management computer systems. That data breach, where 18 million people had their personal identifiable information stolen, didn’t come to light until months later in June of 2015. A spokeswoman for Flashpoint said the firm had notified law enforcement and declined to comment further. The FBI was investigating as of March 4, when it published its own industry alert detailing the threat. The agency’s press office did not return a message seeking comment. Kirkland was aware of the threat, and no client data was accessed, the firm’s chief information officer, Dan Nottke, said in an email. The firm subscribes to several security information-sharing services, including ones operated by the FBI and the Financial Services Information Sharing and Analysis Center, the cybersecurity information clearinghouse for the financial services industry. Spokesmen for McDermott and Jenner declined to comment. Messages to Sidley seeking comment were not returned. Law firms have largely trailed their clients in confronting the possibility of hackers accessing their networks for illegal profit. Though they hold vast repositories of confidential information, many firms are slow to adopt up-to-date defenses against malware and spyware, said Jay Kozie, principal at Keno Kozie Associates, a Chicago-based law firm technology consultancy. In this latest scheme, Oleras posted on a cyber criminal forum a plan to infiltrate the law firms’ networks, then use keywords to locate drafts of merger agreements, letters of intent, confidentiality agreements and share purchase agreements. The list of targeted law firms also included names, email address and social media accounts for specific employees at the firms. “Overall, Oleras wanted to know in advance which companies were going to be merged with the help of the stolen law firm documents and subsequently leverage this information to execute algorithmic insider trading activities,” the Flashpoint alert says, with the money then laundered through front companies in Belize and Cypriot bank accounts. The broker hoped to recruit a black-hat hacker to handle the job’s technical aspects for $100,000, plus another 45,000 rubles (about $564). He offered to split the proceeds of any insider trading 50-50 after the first $1 million. On Feb. 22, another Flashpoint alert noted that Oleras had singled out eight lawyers from top firms, including one from Kirkland’s management committee, for a sophisticated phishing attack. The phishing email appeared to originate from an assistant at trade journal Business Worldwide and asked to profile the lawyer for excellence in M&A. 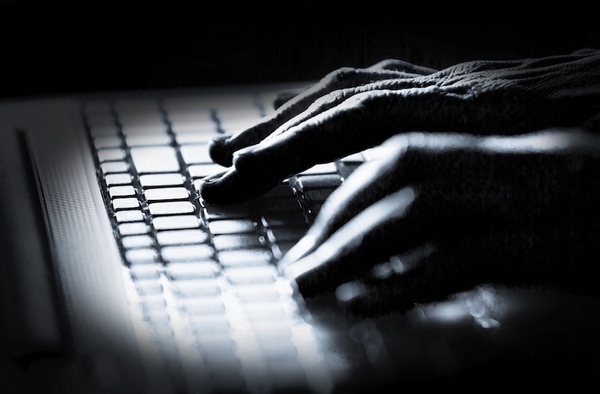 A Russian cyber criminal has targeted 48 law firms, including four in Chicago. SAN FRANCISCO (Reuters) – Microsoft Corp (MSFT.O) has sued the U.S. government for the right to tell its customers when a federal agency is looking at their emails, the latest in a series of clashes over privacy between the technology industry and Washington. Who is responsible for your cloud application breach? 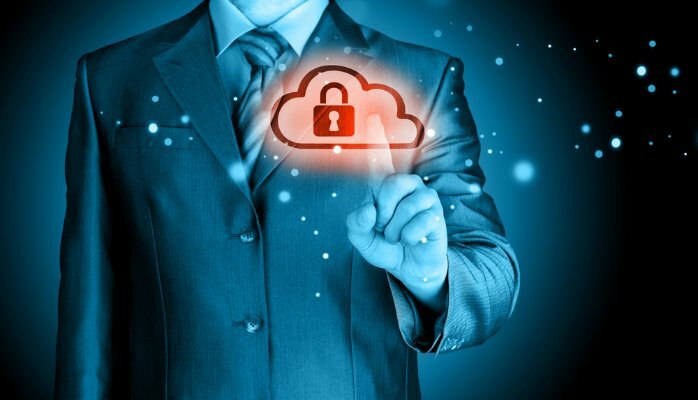 Cloud application security has been a big concern of lately due to several data breaches occurring in the cloud services such as the icloud hack, Target, Home Depot, United States internal Revenue system. Therefore the security of application poses a question as where does the responsibility of the application security lie? Is it with the vendor or the company or person availing the services? The answer goes both sides, as the security aspect of the server side is only covered by the vendor of the cloud application services the client side still needs the security which is mostly overlooked by the people or the companies. The client side application security is of utmost importance as only the server side security is not enough to protect the application from security breaches. This is one of the biggest threat to the cloud services because of the vast amount of data stored on the cloud servers. The sensitivity of the data can be imagined easily, as the cloud is storing the financial details as well as personal details of millions of people. And if this vast amount of data is breached in any case it will cause a downfall of the company and also a threat to the lives of people who have been exposed due to the breach. This attack has been there for a quite long time, it includes Fraud, Phishing, Software Exploits etc. Using these kind of attacks, the cloud services can be compromised and can lead to launching of other attacks, changing the settings of account, manipulate transactions, uploading malwares and illegal contents. The credentials are compromised generally due to weak passwords, casual authentication, poor key or certificate management. Also the identity access management becomes a problem as the user access are sometimes not changed with the job role and responsibilities or when the user leaves the organization. Embedding credentials and cryptographic keys in source code and leaving them in the online repositories such as GitHub also makes a big vulnerability which can be exploited easily. Aligning the identity with the cloud provider needs an understanding of the security measures taken in account. Malicious hackers have gained access to the cloud services and deleted data permanently in the past affecting the business. Also the cloud data centers are vulnerable to natural disasters which can swipe away the data which has been stored on the cloud. If the user encrypts the data before uploading to the cloud and loses the key then data is lost. Thus the client side protection of data should be managed and well kept. Permanent data loss can lead to financial crisis and disruption of the working system. As the cloud service providers share infrastructure, platforms and applications from different sources therefore any reconfiguration or vulnerability in these layers affects the users and can also lead to compromise of the users system as well as the cloud depending upon the potential of the vulnerability. Thus the security alone at the cloud server side is not only the real issue, Security has to be maintained at a vast level consisting of all the aspects of the cloud environment. The client side also needs to be secured as the attacks also possible from the client side due to low or no security measures. Cloud applications are breached to gain access to the commanding position in the cloud where the resources can be used for different malicious purposes such as launching a DDOS attacks or sending bulk spams and phishing emails, breaking an encryption key or hosting Malicious content. This abuse may lead to unavailability of the services or can also lead to loss of data of the users stored on the cloud, therefore it is very much necessary to secure the applications from abuse. To build an application now the developers are using ready to use interfaces and API to make their work simple, but these API’s and Interfaces tend to be the most exposed part of the system as they are available freely on the internet. Almost every cloud service and application now offer API, IT reams are using these interfaces to interact with the cloud services such as management, provisioning, monitoring etc. Thus the level of threat to the cloud services increases manifold. This requires rigorous code reviews and penetrating testing to secure the application and services. As we see that there are a lot of possibilities of breaching your data stored in the cloud due to the importance of data. Therefore your data cannot be secured alone just by the cloud service provider, there is a shear work required from the client side to protect the application and data from the outer security threats. Therefore security audits should be done in order to secure your precious data from threats. The hackers behind recent high-profile ransomware attacks on U.S. hospitals are using business methods that might be familiar to some Silicon Valley start-ups. Cybercriminal gangs are attacking large markets with rich customers. They offer a product with a clear value proposition (giving you back your seized data) that alleviates a specific pain point (the inability to run your business). They act with agility and stealth enabling them to outwit the competition. They are also scrappy, often bootstrapping their illicit businesses. What started as a basic scam — extorting, say, a $300 ransom from a grandmother wanting to get family photos back — has escalated. Last year there was a “reported loss of more than $24 million as a result of ransomware attacks,” according to the FBI, a figure that surely massively underrepresents the scale of the problem due to the unwillingness of many victims to report. The start-up costs for an illicit ransomware business are minimal. The hackers write their own code or buy ransomware as a service on the black market, often as part of a suite of other products. Many groups are already operating other cybercriminal businesses, so getting into the ransomware business is just another way of leveraging existing talent and infrastructure. It requires minimal investment, is relatively low risk and the returns are potentially massive. “I imagine it will hit into the millions of dollars, if they are able to infect some of the right types of targets in an enterprise environment,” said Devost. Like smart start-up CEOs, the hackers are testing the market and refining the business model. As the vast majority of attacks are likely settled without going public, more research is needed to figure out just how profitable the business really is, said experts. Unlike the criminal networks, which often share information freely, many of the victims do not. The most lucrative potential victims have a specific set of characteristics. They hold critical information and infrastructure, have immature and vulnerable security programs and the ability to pay the ransom. Small- to medium-sized U.S. hospitals have proven to be a sweet spot in ransomware because of their often poor security infrastructure as well as the willingness to pay to retrieve patient data, get back online quickly and prevent reputational damage. “We will see much more successful attacks in other industries,” said Ed Cabrera, vice president of cybersecurity strategy at Trend Micro. Law firms, which protect confidential and valuable information about their clients, and venture-backed start-ups that have invested in developing intellectual property are two targets criminals may increasingly go after, he said. The black market for high-value trade secrets or intellectual property is a lot more lucrative than the market for personally identifiable information, which is fairly saturated after numerous data breaches, said Devost. It is also a lot riskier, potentially exposing hackers attempting to sell their ill-gotten goods to law enforcement. Within businesses, it is almost always employees at the top and bottom of the pyramid who represent the best “leads” for attackers. 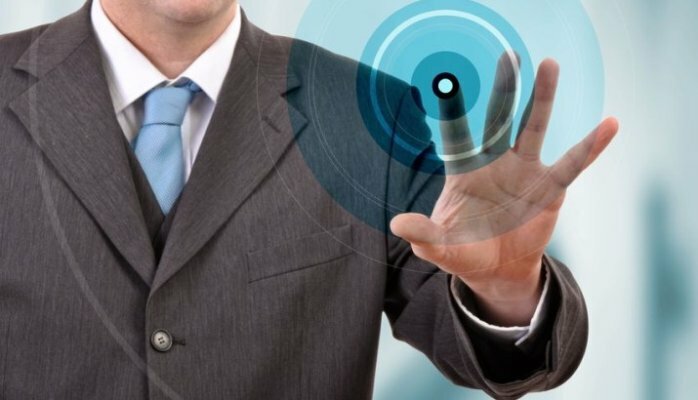 Often, hackers will specifically target C-level executives with high-level access to an entire corporate network, or find success when low-level employees click on something they should not, said Vinny Troia, CEO of cybersecurity consulting firm Night Lion Security. In a perhaps counterintuitive twist, some ransomware criminals actually want to make their attacks “user friendly” for their victims. Like legitimate businesses, they want to maintain a five-star rating, said experts. Some will offer the opportunity for victims to “try before they buy,” unencrypting a small portion of the files held hostage to prove they can deliver the product — a decryption key to get their files back. They are creating user interfaces with sleeker designs and, in some cases, even providing customer support to make it easier to for victims to pay, said Devost. That makes it easier for even low-level victims — i.e., the grandma who just wants her photos back, and who has never heard of bitcoin — to make a payment. “To the extent that you have a support apparatus to help your victims pay tells me there is a lot of money being made,” said Cabrera. On the back end, the hackers continue to innovate to make ransomware more robust, and to stay one step ahead of cybersecurity companies and law enforcement. When the “good guys” discover a decryption key, they often release it to enable victims to decrypt their own data, undercutting the attackers’ business. An example of how nimble these illicit enterprises are is shown by the rapid product evolution of CryptoWall, first released in 2014. 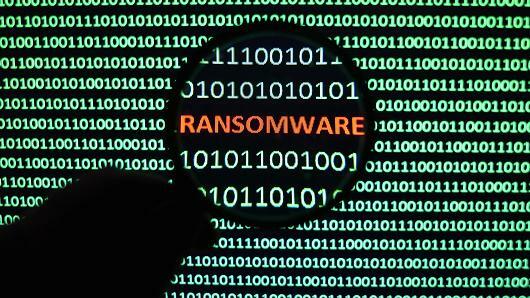 CryptoWall is one of the most widely used forms of ransomware, and has been updated several times to make it stronger, said cybersecurity and threat intelligence firm Webroot in its 2016 Threat Brief. CryptoWall 3.0 is smarter, more secure and stealthier than previous generations. 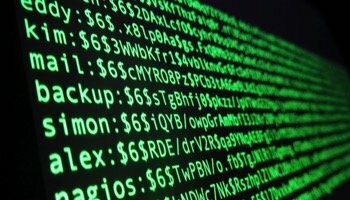 The malware generates unique encryption keys instead of using one key for all infections, secures the master key itself to prevent unauthorized access, and conceals the location of the servers containing the decryption keys and payment mechanisms, among other things. “In late 2015, CryptoWall 4.0 was released, with numerous enhancements to help sidestep security software,” said Webroot. The next evolution of CryptoWall will likely more aggressively try to encrypt attached network storage devices, Devost said. The software is largely operated by criminal gangs, many with ties to organized crime, often located in Eastern Europe and Russia. “Whenever it comes to malware that is written with the focus of strictly making more of a profit, it has typically come out of that region of the world,” said Brian Calkin, vice president of operations at the Center for Internet Security. For example, the architect believed to be behind CryptoLocker, Evgeniy Mikhaylovich Bogachev, remains at large, and is suspected to be in Russia. “Many of the most sophisticated cybercriminal actors are located in jurisdictions that do not cooperate directly with the United States,” said the U.S. Department of Justice on March 4 in response to an inquiry by Sen. Tom Carper (D-Del.) about the challenges in bringing the suspected criminals behind these types of ransomware attacks to justice. “If all individuals and businesses backed up their files, ransomware that relies on encrypting user files would not be as profitable a business for cybercriminal actors,” said the DOJ. The business of backing up data is also booming thanks in part to the recent high-profile ransomware attacks, with cybersecurity companies crowding the market. For example, Code42 provides a backup and real-time recovery solution. The company counts 37,000 organizations — including Lockheed Martin, Mayo Clinic and Kohl’s — as customers. “Companies need to align around what types of attacks do they want protection from,” he said. The unclassified briefings are titled “Ukraine Cyber Attack: Implications for U.S. Stakeholders,” and are based on work with the Ukrainian government in the aftermath of the Dec. 23 cyber attack against the Ukrainian power infrastructure. 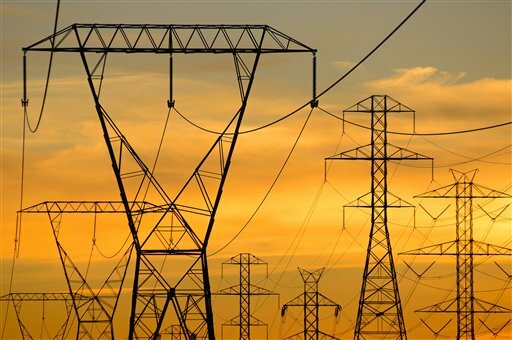 “These events represent one of the first known physical impacts to critical infrastructure which resulted from cyber-attack,” the announcement by the DHS Industrial Control Systems Cyber Emergency Response Team read. “We assess the threat of a damaging or disruptive cyber attack against the U.S energy sector is low,” the report, labeled “for official use only,” says. Penetration by foreign hackers into industrial control systems used to remotely control the electrical power grids as well as water and other infrastructure “probably is focused on acquiring and maintaining persistent access to facilitate the introduction of malware, and likely is part of nation-state contingency planning that would only be implemented to conduct a damaging or disruptive attack in the event of hostilities with the United States,” the eight-page report states. “Overuse of the term ‘cyber attack,’ risks ‘alarm fatigue,’ which could lead to longer response times or to missing important incidents,” the report said. “It is only a matter of the ‘when,’ not the ‘if’—we’re going to see a nation-state, group, or actor engage in destructive behavior against critical infrastructure in the United States,” Rogers, who is also director of the National Security Agency, said in a speech March 2. Rogers described the Ukraine cyber attacks as “a well-crafted attack” that temporarily disrupted electrical power in Ukraine. “Seven weeks ago it was the Ukraine. This isn’t the last we’re going to see this, and that worries me,” Rogers said. “While cyber attacks on critical infrastructure systems have long been viewed as digital aggression with physical consequences, very few have been documented to date, making the late December events in Ukraine a hallmark incident,” the report said, adding that in addition to the power grid, hackers targeted airport, rail and mining system networks. “The cyber attack was allegedly timed to occur during a telephone flood aimed at the help desks of Ukrainian electric companies, intending to keep support staff pre-occupied and divert attention from the network intrusion,” the report said. “However, the incident in Ukraine still remains the first possible instance of a blackout caused by a malicious network intrusion, not yet indicative of a trend,” the report said. Ukrainian authorities this week disclosed that police and IT companies disrupted a Russian “botnet” server of some 4,000 computers that were hijacked and operated covertly in Ukraine and 62 other countries. The botnet, apparently used for criminal purposes, was code-named Mumblehard. Ponemon Institute Reports Healthcare Data Under Attack by Criminals. Results from the Ponemon Institute’s Fifth Annual Benchmark Study on Privacy & Security of Healthcare Data have confirmed what many in the healthcare industry had suspected and even feared: 65% of the healthcare organizations participating in the study had experienced electronic information-based security incidents over the past two years. In addition, some 87% of third-party vendors, identified by HIPAA as Business Associates (BAs), reported a data breach in the last two years. More disturbing is the revelation that for the first time in the history of the study, criminal attacks are the number one cause of data breaches in healthcare. The number of criminal attacks on healthcare organizations and business associates has increased 125% compared to five years ago. According to the study, more than 90% of the healthcare organizations taking part had experienced a data breach, and 40% of the respondents had experienced more than five data breaches over the past two years. No healthcare organization, no matter its size, is impervious to these attacks. And they are certainly not immune to the side effects of a breach. The study’s findings also reveal that 45% of the healthcare organizations surveyed reported the occurrence of a Cyberattack indicated the source of the attack was criminal, while 12% cited the work of malicious insiders. 39% of the BAs reported breaches caused by criminal attackers while 10% attributed the attacks to malicious insiders. The study described an increase in Web-borne malware attacks, citing 78% of the healthcare organizations surveyed as having experienced security incidents caused by malware; 82% of BAs had suffered security incidents attributed to malware. Perhaps one of the most shocking data points reported is that in spite of the increased criminal activity and the rapidly evolving threat environment, the majority of healthcare organizations indicated implementing no changes to what they’re doing or how they’re doing it. Only 40% of healthcare organizations and 39% of BAs surveyed expressed concern about cyberattacks. The survey results clearly illustrate the reality that healthcare organizations and the BAs with whom they work need to invest more in technologies that allow them to respond quickly to data breaches. While 58% of healthcare organizations responding agreed that they have policies and procedures in place that allow them to detect a data breach quickly and efficiently, fewer than half believe they have sufficient technologies in place to do so — and only 33% were confident they have the resources needed to prevent or quickly detect a data breach. Responses of BAs participating in the survey fell along similar lines. 50% of business associates responding stated that they have the policies and procedures in place to prevent or detect a security incident, while fewer than half believe they have sufficient technologies. Lastly, only 41% of BAs stated that they have adequate resources to be able to identify and repair data breaches. Among other key findings detailed in the Poneman report are the statistics relating to how health organizations have uncovered the security attacks. 69% learned of a data breach through an audit or assessment, while 44 % were discovered by an employee. 30% of data breaches were reported by patients, 23% were uncovered accidentally, and 18%came from a legal complaint. Law enforcement was responsible for 6 % of the discoveries and loss prevention teams for 5%. Business associates reported different statistics, with 60% of data breaches reported as being uncovered by employees and 49% discovered as a result of audit or assessment. BAs said 33% were found accidentally, 21% through a legal complaint, 17% from a patient complaint, 13% from loss prevention teams, and 12% by law enforcement. The findings of the Ponemon Institute survey paint an alarming picture: the healthcare industry, which manages vast amounts of personal data, is under attack by criminal elements and jeopardized by employee negligence, as well as the actions of malicious insiders. The number of data breaches is growing exponentially, and both healthcare organizations, and the business associates who serve them lack sufficient technologies, resources, and processes to ensure data is kept secure. The report details a slow but steady increase in technologies used by both healthcare organizations and their business associates to detect and mitigate the impact of cybersecurity threats, but concludes that the pace of the investments in both technologies and security expertise is not sufficient at this time. In conclusion, the Ponemon Institute calls for intensive employee training and awareness programs, ramped up investments in technologies and security expertise, and a broad application of innovative solutions to the industry to improve the current status of the privacy and security of the nation’s healthcare data.